The genus Rhodiola contains numerous species, probably around 90. 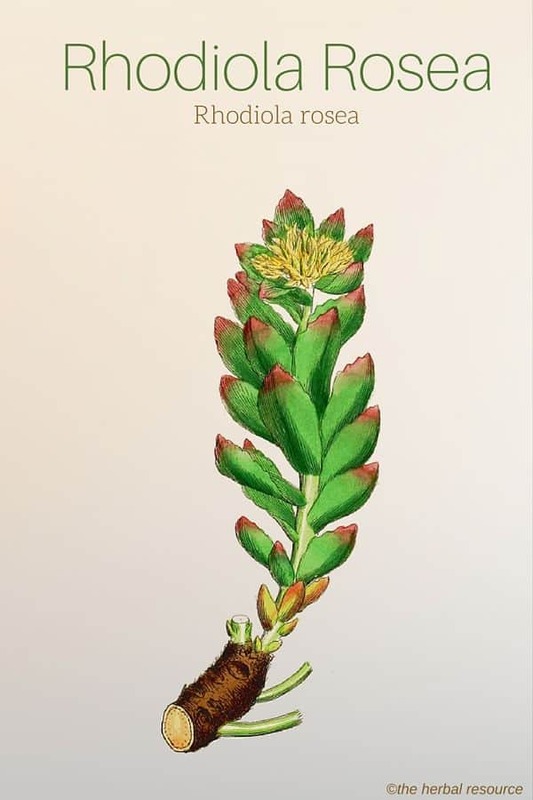 Other Common Names: Roseroot, artic root, golden root, Siberian golden root, king’s crown, blodrót (Icelandic), rosenrot (Norwegian), pohjanruusujuuri (Finnish), Rosenwurz (German), rhodiola (French), hong jian tian (Chinese), rosenrod (Danish). Habitat: Species belonging to the genus Rhodiola grow in high-altitude (up to 2280 meters above sea level) and other cold regions of the northern hemisphere. 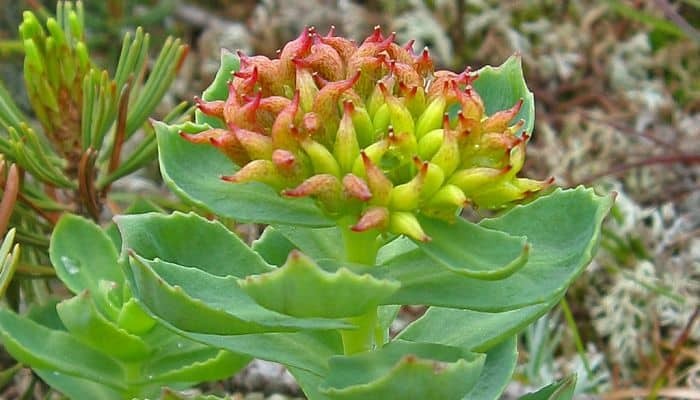 Rhodiola rosea probably has its origins in the mountainous regions of the southwestern parts of China and the Himalayas, but now it is commonly found in Scandinavia, Iceland, Greenland, United Kingdom, Ireland and North America. Description: Rhodiola rosea is a perennial plant that can grow up to 10-25 cm tall. The stems grow from thick rhizomes that smell like roses when sliced and are white, pink or pale yellow on the inside. The leaves are blue-green, fleshy and are arranged alternately along the stem. 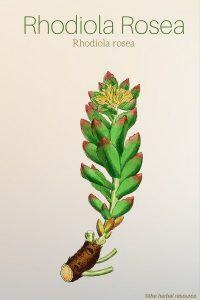 Rhodiola rosea is in bloom from June to August and the yellow flowers sit in a screen-shaped inflorescence. The plant is dioecious, meaning it has separate female and male plants. After flowering, the male flowers wither, while the female flowers develop orange or red seed capsules. Plant Parts Used: It is the rhizome (rootstock) that is mostly used for medicinal purposes but the leaves and stems have also been used, both as food and medicine. Phenylethanol derivatives: salidroside (rhodioloside) and tyrosol. Flavonoids: rhodiolin, rhodionin, rodiozin, acetyl-rodalgin, tricine. Phenolic acids: chlorogenic acid, hydroxycinnamic acid and gallic acid. The root also contains carbohydrates, tannins, fats, proteins, minerals, vitamins and several organic acids such as oxalic acid, citric acid, succinic acid, tannic acid and malic acid. The substances that are thought to be most important for therapeutic reasons are the three phenylpropanoids rosavin, rosarin, rosin which are only found in rhodiola rosea, and not in any of the other Rhodiola species. Also the content of tyrosol and salidroside is considered to be of importance to the general positive effect of the plant. Rhodiola rosea has been shown to have similar properties as Panax ginseng and some believe that it surpasses ginseng in terms of efficiency. Rhodiola belongs to a group of medicinal herbs called adaptogens. These herbs are believed to increase the body’s general adaptability and therefore its resistance to external stress factors like heat, cold, noise, and high altitude. Unlike many other medicinal herbs, it is believed to work on the whole body rather than on a particular organ or systems and the theory is that adaptogens can adapt their effect on the body’s needs. Adaptogens herbs like rhodiola enhance the immune system. They increase the production and activity of specialized cells like natural killer cells and T cells, responsible for fighting bacteria, viruses and cancer. These herbs are also believed to be superb antioxidants as well as increase energy production and protect DNA resulting in greater resistance to harmful mutations. 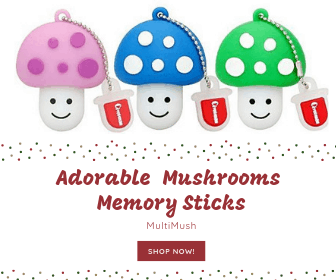 Other well-known adaptogens are schisandra (Schisandra chinensis), eleuthero (Eleutherococcus senticosus) and the medicinal mushrooms reishi (Ganoderma lucidum), maitake (Grifols frondosa) and chaga (Inonotus obliquus). Rhodiola Rosea is considered to be one of the best medicinal herbs to reduce stress. Research has shown that it protects against an excessive release of stress hormones, particularly cortisol, epinephrine, and norepinephrine. This is important because too much of these hormones for too long can cause the body to deteriorate. Chronic stress can cause a variety of health problems. It may involve temporary or long-term changes in hormonal balance, physical impairment, poor memory, mental instability, depression, addiction to drugs or other stimuli and weakening of the immune system. Rhodiola rosea may be partly helpful in restoring adrenal glands function. A proper function of the adrenal glands, which sit on top of the kidneys, is important when it comes to stress. When the adrenal glands are overloaded, the body’s ability to withstand stress deteriorates resulting in various health problems such as general fatigue or chronic fatigue syndrome, poor immune system and aching muscles and joints. Although rhodiola rosea is nowadays known to be helpful for a variety of ailments and health problems, its ability to combat stress and the associated negative aspects is probably the herb’s most important trait. Rhodiola rosea can support brain function in many ways. At the cellular level, the herb acts as an antioxidant and reduces damage to the cell membranes and the mitochondria, the powerhouse of the cells. In a series of tests done in the 90s, researchers in the former Soviet Union concluded that the herb could enhance learning ability and increase memory. The herb increased intellectual work capacity, improved the ability to abstract thinking and lowered reaction time. Other long-term double-blind, placebo-controlled studies have strongly indicated that taking rhodiola could enhance learning ability and reduce mental fatigue. The herb may also be of use as a natural treatment for diseases such as Parkinson’s, Alzheimer’s, dementia and ADD/ADHD. Rhodiola rosea can also be of great benefit to those who want to quit smoking or to wean off drugs. Rhodiola rosea is often used to treat mild to moderate depression as it stimulates the production of serotonin, dopamine and norepinephrine. Furthermore, the herb’s ability to increase stress tolerance is important because stress is often the cause of anxiety and depression. In Russia it is nearly as common to treat depression with rhodiola as with conventional medication and the antidepressant effect of the herb is believed to be as great or greater than St. John’s wort (Hypericum perforatum), ginkgo (Ginkgo biloba) and ginseng (Panax ginseng). In a study conducted in the former Soviet Union in 1987, 128 patients with various degree of depression were given 150 mg of rhodiola rosea extract or placebo three times daily. Two-thirds of those who received rhodiola experienced significant improvements. Another and more recent double-blind, randomized, placebo-controlled study done in Scandinavia showed that rhodiola rosea improved the condition of patients with mild to moderate depression when a standardized extract, dosed at 340 or 680 mg daily for six weeks, was administered. Several clinical studies have shown that rhodiola has a positive effect on the oxygen uptake resulting in increased endurance or better adjustment to high altitudes where the oxygen concentration is low. As a performance increasing herb it seems it stimulates the production of the energy molecules adenosine triphosphate and creatine phosphate in the muscle cells (myocyte) causing an increase in availability of energy needed for greater endurance and more rapid recovery. Rhodiola rosea is often advertised as a natural treatment for impotence, dwindling libido and infertility and its traditional uses seem to support this. The Russians have known this for a long time and people living in the Caucasus and Altai Mountains have relied on the herb for centuries as a remedy to increase sexual performance and health. 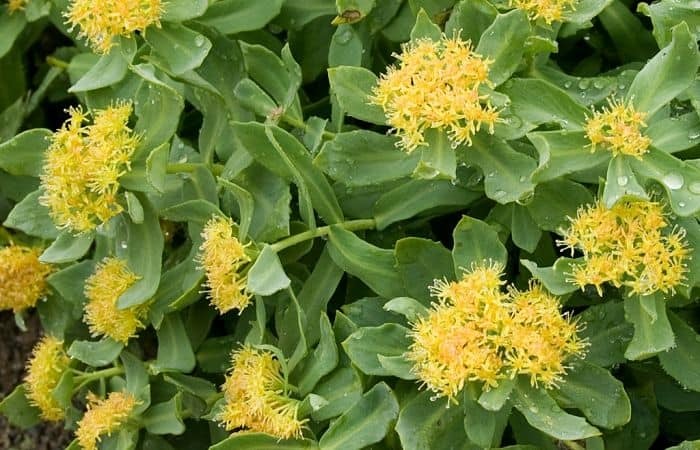 Also since impotence and lack of libido are often associated with depression and chronic stress, it is not surprising that the supplementation of rhodiola might improve sexual function. Rhodiola rosea is considered to have a general cardioprotective effect, and it helps to normalize rapid heartbeat after intense exercise. The herb’s usefulness in regulating the secretion of stress hormones can be beneficial to the heart. Increased secretion of adrenaline caused by stress can eventually lead to heart damage, often seen in patients with myocardial infarction (heart attack). Rhodiola rosea could also be helpful as an herbal remedy for atherosclerosis. Besides the herb’s ability to normalize blood pressure, blood sugar, and cholesterol levels, it can also regulate the potassium level in the blood. Potassium helps to halt cardiac contraction, allowing the heart cells to get some rest before the next contraction. Diseases related to the heart can often be of serious nature and rhodiola rosea should not be used as a replacement for any conventional medication and as a treatment for any heart-related ailments the herb should only be used in consultation with a medical doctor. Rhodiola rosea has also been used as an herbal remedy for diabetes and the associated symptoms. Not only reduces the herb the levels of stress hormones but it can also affect the activity of the beta cells (cells responsible for producing insulin). Studies using animal models have shown that rhodiola has a blood glucose lowering properties and that it increases the amount of insulin in the blood and reduces the amounts of glucagon, a peptide hormone formed by alpha cells in the pancreas responsible for high levels of glucose in the bloodstream. In addition, the herb increased glycogen in the liver by 50-80%. Even though these studies were done using animal models is it likely that the same results would be applicable to humans but further studies are needed to fully confirm the herb’s uses as a treatment for diabetes. Rhodiola rosea has strong antioxidant properties. It is believed that not only can it reduce the damage to cells caused by free radicals but also stimulate the repair of DNA, another factor that helps protect against cancer. Animal studies have shown that the herb has anti-mutagen, anti-cancer and anti-metastatic effect (prevent cancer from spreading). Rhodiola may also be able to protect normal cells from damage caused by radiation therapy and chemotherapy. The herb is thought to reduce some of the harmful effects cancer drugs can have on the liver and bone marrow. Animal studies have also shown that a combination of the herb and chemotherapy destroys more cancer cells and does a better job in limiting metastases ( the spread of cancer) than a treatment with chemotherapy on its own. Rhodiola rosea is also helpful in easing many of the related symptoms associated with cancer like fatigue, anxiety, depression, and stress. Still, further studies done on humans are needed to fully determine and understand the potential of the herb as remedy for cancer or as a supportive treatment in chemotherapy. Rhodiola rosea has had certain traditional applications as herbal medicine in many countries. It is known that the herb was used in the past as a remedy for scurvy, especially in Norway even though its content of vitamin C is relatively low. A decoction made from the rhizome was once used for hair washing due to its rose-like fragrance which explains one of the herb’s common name “roseroot”. In Iceland, Greenland and the Faeroe Islands the fresh, sliced roots were mixed with butter and used for wound healing. Also to reduce rheumatic pain, the ground root was wrapped in a linen cloth, heated and placed on the painful area. In the central mountainous regions of Asia, an herbal tea made from the root was used as an herbal remedy for colds and flu. In addition, the leaves were used as poultice and applied on injuries and burns, and a decoction made from the flowers was used to treat indigestion. In Mongolia, the herb was used to treat cancer and tuberculosis. The uses of it as a tuberculosis treatment was also known among the Eskimos in western North America. In China, rhodiola rosea and other species in the same genus have been valued for their medicinal qualities since ancient times. Chinese emperors sent expeditions to Siberia to obtain these herbs to ensure good health and a long life, and perhaps also to enhance sexual potency. It is often recommended to start with a daily dose of 100 mg of rhodiola and increase the dosage gradually if no side effects are experienced. (Up to 600 mg per day). The time it takes for the herb to have an effect can depend on several factors, such as genetics, mental and physical fitness, the external environment, behavior, and lifestyle. For some, the effect can be noticed in a few days and for others, it can take more than a month. Clinical studies have shown that most people feel the effect not later than 30-40 days. If the desired effect is not noted after 40 days, it is unlikely that the herb is of any use. It is important to use rhodiola preparations of high quality. For commercial products containing the herb, the best option is to buy products where the amount of the phenylpropanoids and salidroside in each tablet or capsule is stated on the package. Side effect are uncommon when rhodiola rosea is used in recommended doses (100-600 mg per day). Some people may be sensitive to the stimulating effect of the herb and only tolerate daily dose of 100 mg or less. Side effects at very high doses can be increased salivation, anxiety, agitation, sleep problems, and nausea. In the case of nausea, it can be helpful to take rhodiola right after meals. Rhodiola rosea can cause allergic reactions, but it rarely occurs. If any unexpected side effects are experienced the doses should be reduced or any use of the herb should be discontinued. People with bipolar disorders should not use the herb because its antidepressant effect can trigger mania. Those on antidepressants like selective serotonin reuptake inhibitors (SSRI) should not use the herb in any form. Pregnant and breastfeeding women and children under 2 years should not use the herb. Children older than 2 years may use the herb, but in smaller doses than adults. Also, those who are older than 65 years should start with a low dose and only increase it if the need arises. Since rhodiola has a stimulating effect, it is best to avoid taking it in the evenings. It is not recommended to use the herb continuously over a long period of time. The general rule is to take the herb for two months, and then refrain for one month before starting a new two-month use again. It is suspected that rhodiola may affect and interfere with the absorption and breakdown of some pharmaceutical medications like some cancer drugs and HIV/AIDS medications. It is important to consult a professional health care provider before using rhodiola rosea as herbal medicine. This is especial important for those with serious health conditions and those on conventional medication. Alm, Torbjørn: Ethnobotany of Rhodiola rosea (Crassulaceae) in Norway. SIDA 21(1): 321-344. 2004. Brown, Richard P. & Gerbarg, Patricia L.: The Rhodiola Revolution. Transform Your Health with the Herbal Breakthrough of the 21st Century. Rodale 2004. Darbinyan, V., G. Aslanyan, E. Amroyan E, E. Gabrielyan, C. Malmström & A. Panossian: Clinical trial of Rhodiola rosea L. extract SHR-5 in the treatment of mild to moderat depression. Nord. J. Psyc. 2007; 61:343-348. Germano, Carl and Zakir Ramazanov: Arcitc Root (Rhodiola rosea). The Powerful New Ginseng Alternative. New York, Kensington Books 1999. Petkov VD, Yonkov D, Mosharoff A, Kambourova T, Alova L, Petkov VV, et al; Effects of alcohol aqueous extract from Rhodiola rosea L. roots on learning and memory. Acta Physiol Pharmacol Bulg 1986;12(1):3-16.